We personalized ang pow/red packet printing for your wedding. 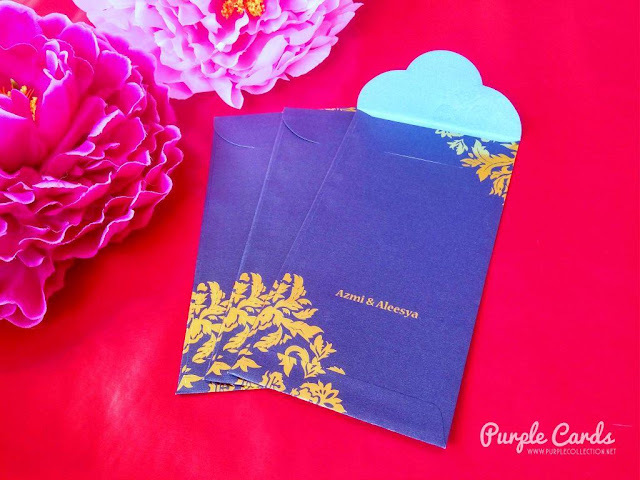 These ang pow envelopes are done with gold foil stamping on metallic blue paper 120g for Azmi & Aleesya from Singapore. 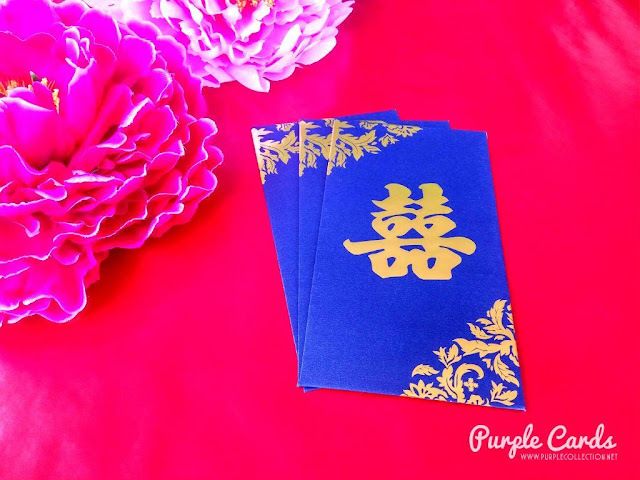 To inquire on a personalize ang pow envelope, please click on the enquire now button. 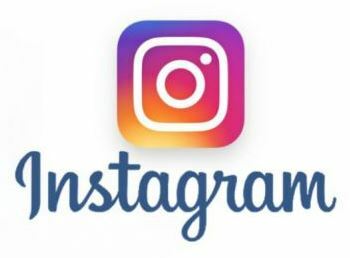 To inquire on custom design and printing services, please submit your inquries here for quotation.